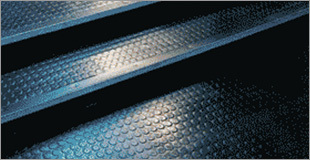 floor.ie Have been specializing in Rubber Flooring for over two decades and have installed Rubber Tiles in many projects over the years, Rubber flooring is very durable and has many benefits ranging from Soundproofing qualities, soft to walk on, it also acts as an insulator and has natural anti slip resistant properties. 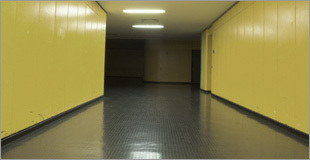 Dalsouple Rubber Flooring is available in many different colors and can be also made to any RAL Color Bank, Rubber Flooring is suitable as School Flooring, Hospital Flooring, Crèche Flooring, Nursing Home Flooring, Dental Surgery Flooring, Sports Hall Flooring, Retail Flooring, Community Hall Flooring and Floor.ie can also supply Rubber Flooring suitable for raised access panels. Maintenance on Rubber Flooring is vital for its appearance and durability, floor.ie offer a professional cleaning and polishing service to keep your Rubber Flooring in tip top shape. Floor.ie can also offer other ranges of Rubber Flooring like Artigo Rubber Flooring – Studded Rubber Tiles – Nora Rubber Flooring – Altro Nuvola plus many more. Please feel free to contact us for any enquiry you may have large or small. Please feel free to contact Floor.ie for any flooring requirements you may have. We offer a full onsite survey, Free of charge! !